Burrs coated with real industrial diamonds let you grind, engrave, smooth and shape wood, plastic, metal...even hardened steel and glass. They're also used for sharpening steel and carbide tipped cutting tools. Shanks are 1/8 inch so they'll fit Dremel and other high speed rotary tools. Includes a plastic storage case. 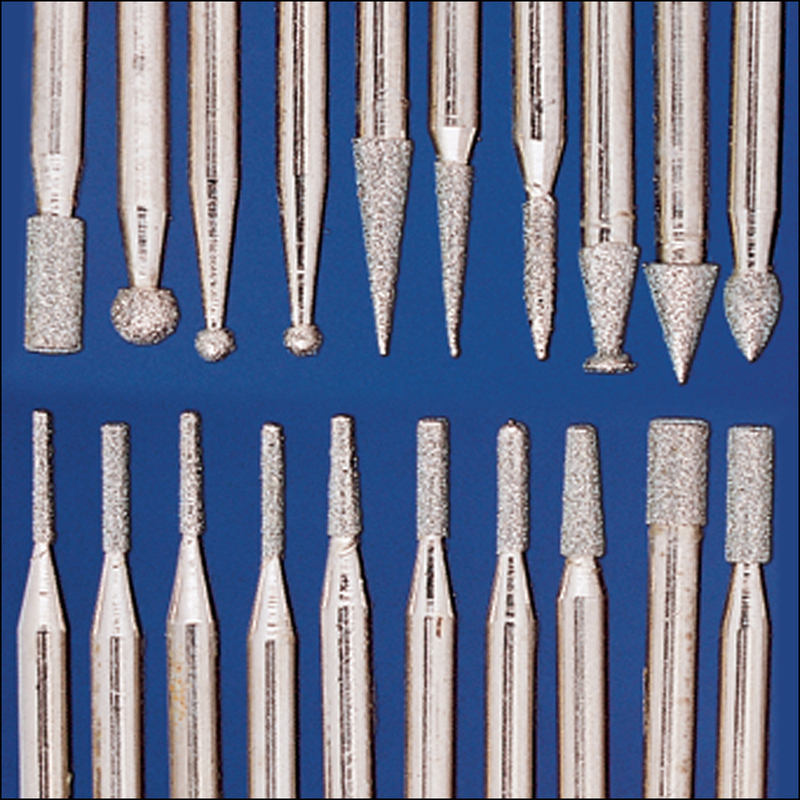 Standard Micro Burr Set includes 20 different shapes with cutting diameters up to 1/8 inch. WARNING: This product can expose you to chemicals including Bisphenol A which is known to the State of California to cause reproductive toxicity. For more information, go to www.P65Warnings.ca.gov.